Although we know of at least five concertos J.S. 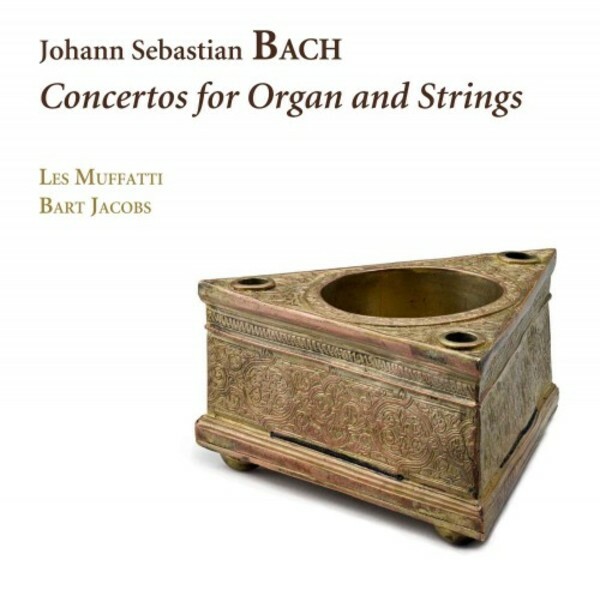 Bach wrote for solo organ we have no surviving Bach organ concertos with orchestral accompaniment. Contrast this with the 200+ cantatas: of these, 18 feature organ obbligato, which Bach uses as a solo instrument in arias, choral sections and sinfonias. The most obviously conspicuous date to 1726. In May to November of that year, Bach composed six cantatas which assign a prominent solo role to the organ. Most of these are reworkings of movements of lost violin and oboe concertos written in Bach�s time at Weimar and K�then. Why Bach wrote such a number of obbligato organ cantatas in such a short period remains unknown. One possible explanation may lie in Dresden, where Bach had given a concert on the new Silbermann organ in the Sophienkirche in 1725. Some scholars think that, in addition to other organ works, he also performed organ concertos, or at least a few earlier versions of the sinfonias, with obbligato organ and strings in order to show off the organ. From the cantatas mentioned above, along with the related violin and harpsichord concertos, it is perfectly possible to reconstruct a number of three-movement organ concertos of this type. By using this method, we hope to bring some of the music which Bach may have performed in Dresden in 1725 back to life on this CD.